This collection of color sublimated awards add some flash to your award. 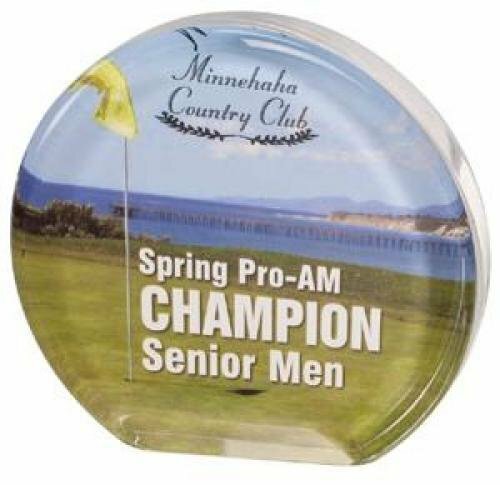 Typically used for sport plaques, coach plaques, team mom plaques, school and education plaques, these are an excellent choice with a large selection of designs available. Custom color and artwork available upon request. Add your team or company logo for more personalization. Color sublimation is a good way to make an economy plaque stand out. The Cherry Finish Cove Edge plaque is the perfect fit when you need a plaque for your award needs. The cove edge highlights the rich cherry finish of the plaque. 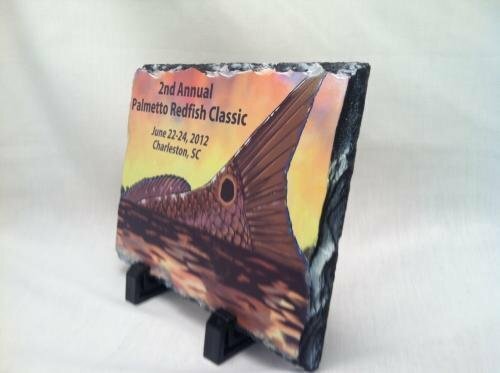 Add your color sublimated logo or color text to these plaques for some flash. 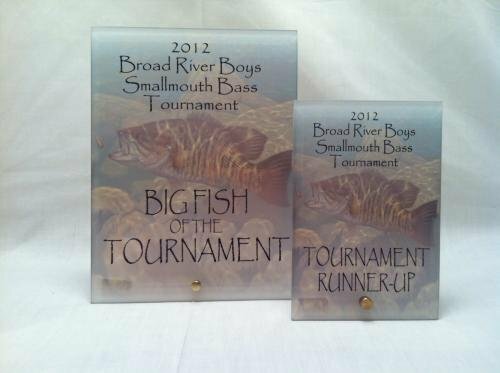 Flexibility is the key to these awards as they are available in 9 different sizes, 4" X 6", 5" X 7", 6" X 8", 7" X 9", 8" X 10", 9" X 12", 10 1/2" X 13", 12" X 15" or 16" x 20". *Price includes all engraving on the plaque. May incur extra charge for logos. Color glass adds a unique look to any award. The glass also adds weight to the award. 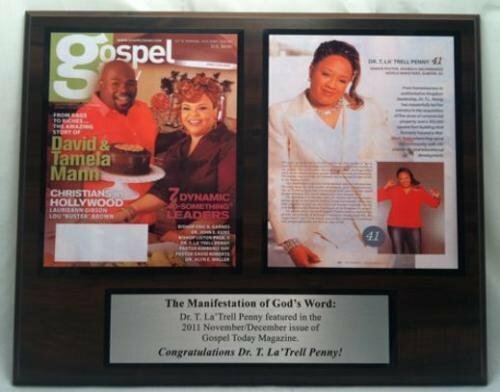 Add your color sublimated logo or color text to these plaques for some flash. A full color backgound is available. The Color glass awards are available in 4 different sizes, 4" x 6", 5" x 7", 6" x 8", 7" x 10". They come with a gold stand to display the award. You can get them in the landscape or portrait layout. Color stone adds a unique look to any award. The stone also adds a fair amount of weight to the award. 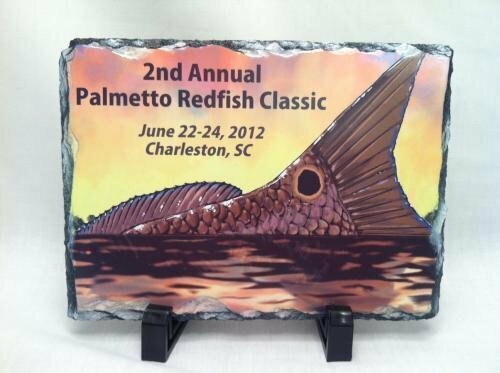 Add your color sublimated logo or color text to these plaques for some flash. 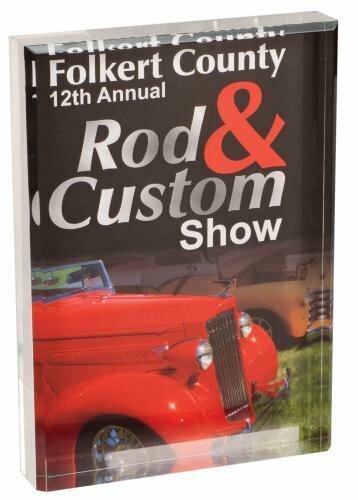 A full color backgound is available. 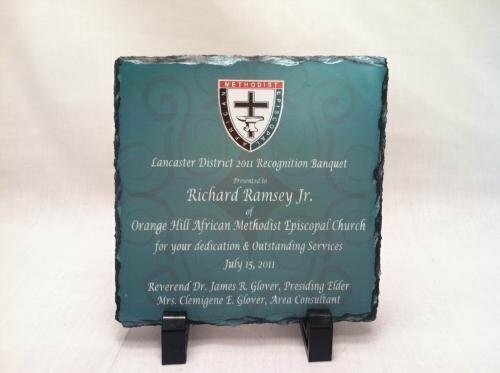 The Color Stone awards are available in 4 different sizes, 5.5" X 5.5", 5.5" X 7.5", 7.5" X 7.5", 7.5" X 11.5". They come with the black plastic stand to display the award. 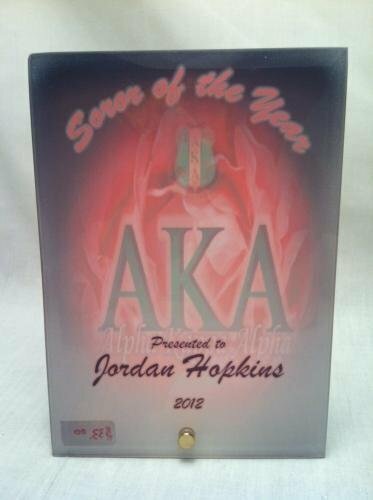 These rectangular sublicrylics, different than our regular acrylic awards bring color to your awards. 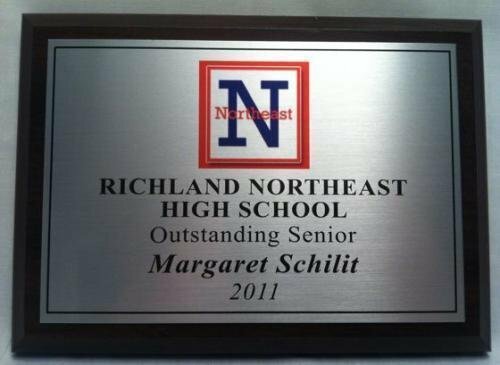 Customize your award with your own image or custom colors along with engraving information. They are available in three different sizes, 4x6, 5x7, and 6x8. These round sublicrylics, different than our regular acrylic awards bring color to your awards. 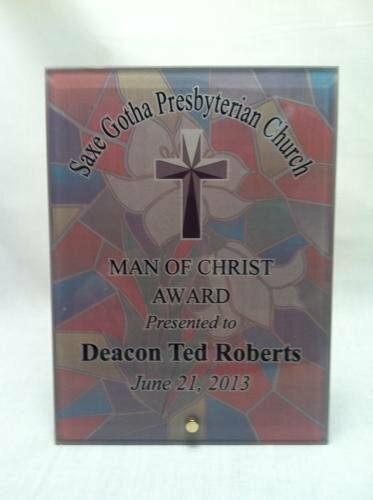 Customize your award with your own image or custom colors along with engraving information. They are available in three different sizes, 4x3.5, 5x4.5, 6x5.5.